CNC (Computer Numerical Control) Machining is a process used in the manufacturing sector that involves the use of computers to control machine tools. Tools that can be controlled in this manner include lathes, mills, routers and grinders. CAM (Computer aided manufacturing) software makes the CAD drawing/design into a code which is them used to control the machine to cut to specs on the drawings. 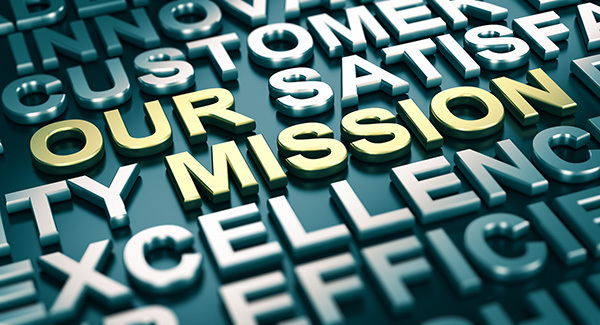 Laser engraving, which is a subset of laser marking, Laser marking, on the other hand, is a broader category of methods to leave marks on an object, which also includes color change due to chemical/molecular alteration, charring, foaming, melting, ablation, and more. 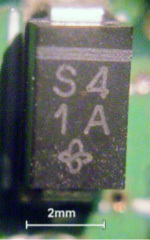 The technique does not involve the use of inks, nor does it involve tool bits which contact the engraving surface and wear out, giving it an advantage over alternative engraving or marking technologies where inks or bit heads have to be replaced regularly. 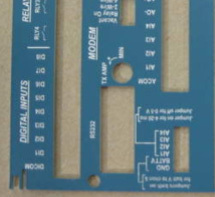 The term laser marking is also used as a generic term covering a broad spectrum of surfacing techniques including printing, hot-branding and laser bonding. The machines for laser engraving and laser marking are the same, so that the two terms are sometimes confused by those without knowledge or experience in the practice. Zinc Plating is a surface covering in which a metal is deposited on a conductive surface. Plating has been done for hundreds of years; it is also critical for modern technology. Plating is used to decorate objects, for corrosion inhibition, to improve solderability, to harden, to improve wearability, to reduce friction, to improve paint adhesion, to alter conductivity, to improve IR reflectivity, for radiation shielding, and for other purposes. Thin-film deposition has plated objects as small as an atom, therefore plating finds uses in nanotechnology. Chemical Filming is a very common and inexpensive finish, used by several industries for various products and purposes. The chemical in question is a sealant, which adheres to and alters the exterior of a metal part, creating a thin film of material that provides corrosion protection for metal parts. In many cases, this chemical film coating is the final step in the production process, but it’s also common to find chemical film coatings used to prime the surface of a product for paint application. Chemical film coating, also called chemical conversion coating, results in a variety of finishes and colors, varying from clear and iridescent colors to blue, green, gold and even black. In general, the darker the color, the stronger the chemical film coating and the more resistance it will present to corrosive forces, though there are some exceptions. Type 1: Type 1 chemical film coatings contain hexavalent chromium, which is the reason the chemical film coating process was historically called “chromate conversion.” While this was a standard recipe previous to the 21st century, exposure to this chemical is now tightly regulated in the United States by both the EPA, as an environmentally hazardous chemical, and by OSHA, as a carcinogenic chemical. Type 2: Compositions of this type contain no hexavalent chromium and are now becoming the standard within most industries. 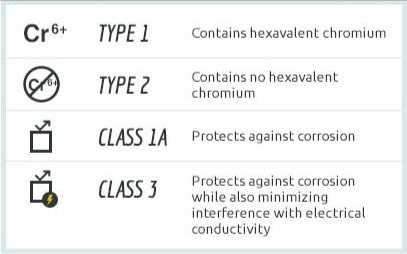 Typically, hexavalent chromium is replaced with another chemical, such as trivalent chromium, zirconium or titanium. Class 1A: This class means the coating’s purpose is to protect against corrosion, so the coat tends to be much thicker and darker to offer improved protection. This class can also mean the chemical coating can be used as a primer for paint. These paints can be decorative or utilitarian. For example, the military often uses chemical agent-resistant coating paint, also known as CARC paint, on a wide variety of vehicles and equipment, both on and off the field, as added protection against chemical agents. 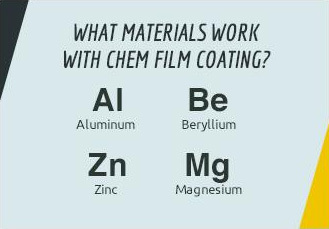 Class 3: This class of chemical film coating is designed to protect against corrosion while also minimizing interference with electrical conductivity. Typically, these coatings are slightly thinner, with a lighter coating weight and color than Class 1A coatings. Wet Painting is the process of applying paint to a ferrous or non-ferrous part for finishing. The typical thickness of the coating is between 15-20 micrometers. When the substrate to be painted is properly treated this coating can provide excellent corrosion resistance. It is debated which is best, powder coating or wet paint. Wet paint is a better choice over powder coat when a thinner coating is required. It is also the go to for specific color match that can’t otherwise be achieved. 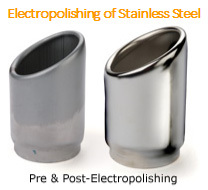 Among the preplate finishing services offered by Master Finish Company is electropolishing. Often called reverse plating, electropolishing removes a variety of surface contaminants from the surface of stainless steel, leaving behind a higher concentration of nickel and chromium molecules at the part surface. Electropolishing works hardest on the micro peaks of the surface providing a smoother, brighter surface. This finishing process improves corrosion resistance and the appearance of the part. Electropolishing works by an electro-chemical reaction in which metal dissolves faster at surface micro peaks, creating a leveling effect on the surface of the work piece. This process makes electropolishing an excellent option for deburring and general preparation of stainless steel surfaces prior to plating.